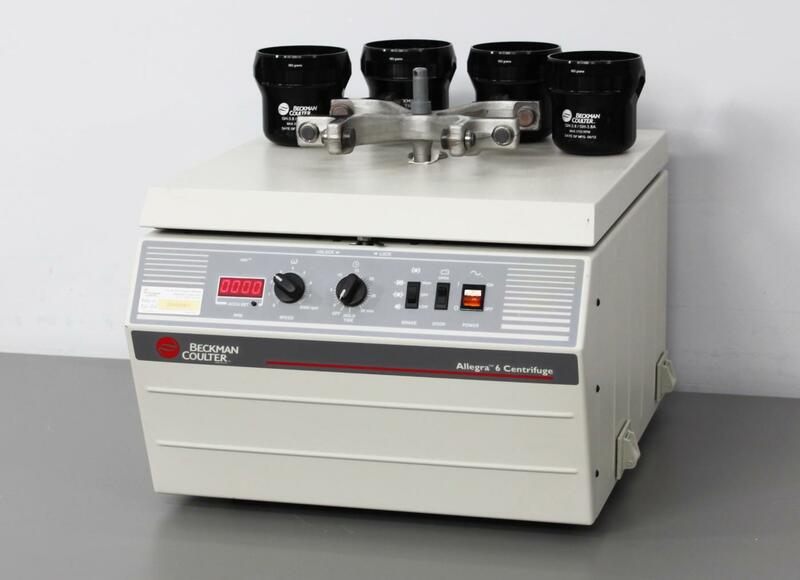 Beckman Coulter Allegra 6 Lab Benchtop Centrifuge 366802 GH-3.8 Rotor & Buckets . New Life Scientific, Inc. Tested 3,750 rpm. Rotor & Buckets. 90-Day Warranty. of pre-owned centrifuges with a clear understanding of their condition and functionality. has a maximum speed of 8,000 rpm when paired with a compatible fixed-angle rotor. just a few small cosmetic scuffs as shown in the photos. manufacturers, including Eppendorf, Beckman, and Sorvall/Thermo. we have actual in-house technicians who inspect, test, service, and repair centrifuges. The g-forces the centrifuge exerts are just as real as those exerted by a new one.